As World Thinking Day approaches, we look back at a previous experiment in international friendship with a guest post by Katherine Cartwright, a doctoral candidate in history at the College of William and Mary. She was a Girl Scout for seven years in Michigan. 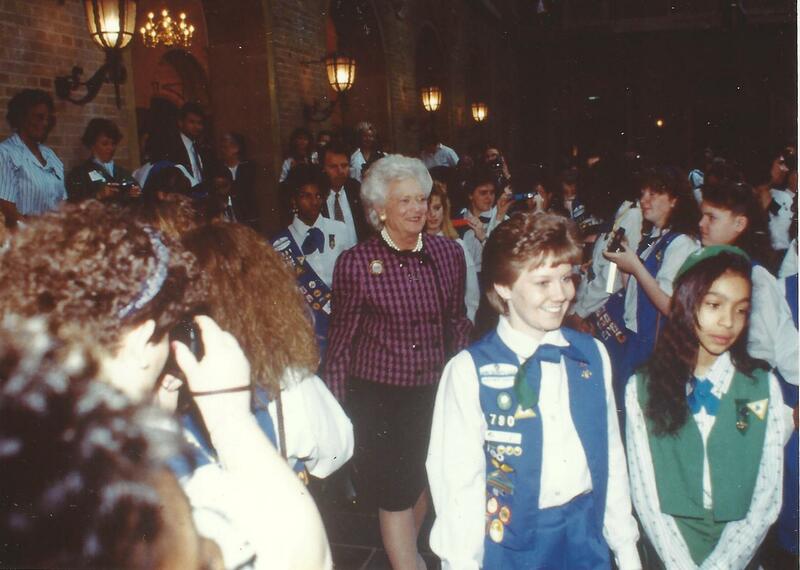 This was exactly the type of event I was hoping to find while conducting research for my dissertation in the archives of the Girl Scout Council of the Nation’s Capital. My name is Kat Cartwright and I am a Ph.D. candidate at the College of William and Mary. My dissertation examines how young people engaged in and shaped efforts aimed at cross-cultural understanding and internationalism from World War I through World War II and when volunteer archivist Ann Robertson handed me a 1931 scrapbook containing newspaper clippings that chronicled the Festival I knew I had struck gold. Local newspapers began reporting on the Festival as early as November 1930. In cooperation with the Department of State, four countries were chosen for the play: Mexico and Canada, the closest neighbors of the United States; Czechoslovakia, a nation “greatly interested in promoting friendship among nations”; and Japan since the Festival was to correspond with the blossoming of the cherry trees, a gift from the mayor of Tokyo in 1912. The drama was to feature the “authentic” culture, dancing, and singing of these four nations and end in a finale with youth representing 50 nations. While the initial articles in the scrapbook concentrated on the adults organizing the production, the articles increasingly emphasized the youths’ participation throughout that spring. These articles allow me to incorporate the actions and voices of young people into my work. 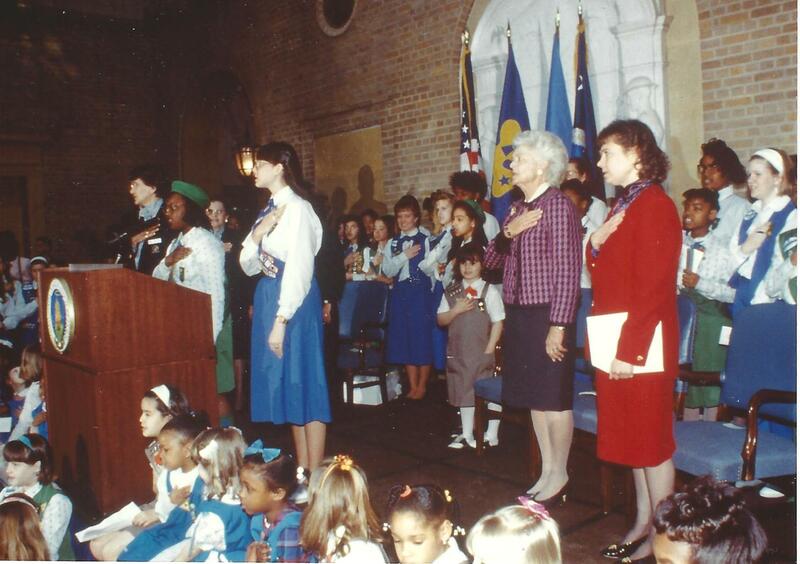 Not only did young people, especially Girl Scouts from troops in the Washington area, join professional singers, dancers, and actors in the cast and serve as ushers at each performance, they also played an important role in promoting the Festival. For example, they submitted posters to be circulated throughout the United States, Canada, and other countries leading up to the Festival. Winning poster designs. Washington Times (April 20, 1931). About 30 Girl Scouts and Girl Guides representing at least ten countries attended a promotional “Flying Tea” held at Hoover Airport, now the site of the Pentagon. Nellie Veverka from Czechoslovakia got to do the honors of christening a new airplane. Other reports scattered throughout local papers followed additional preparations for the Festival, from the spectacular costumes to the involvement of embassies. Once more, we regret to report, Washington has made a daring and desperate stab at art and fallen short of the mark. Others cited the duration of the play as its primary flaw and wished that it had been a silent film because the discourse took away from the music and scenes. Though we don’t know the exact reason why, even First Lady Hoover left half-way through opening night! The crew and cast quickly responded, cutting scenes here and there. By the time more than 2,000 Girl Scouts and various other youth from the Washington area crowded into the hall for the children’s matinee on Saturday, the play had been shortened by an hour and fifteen minutes. Many of the articles in the scrapbook suggest that the Festival that took place in DC in 1931 was modeled on similar events held elsewhere. That suggests many additional research paths to explore: Where did these events take place? Were the Girl Scouts and Department of State involved? What countries were represented in the festivals? How were young people—both from the U.S. and abroad—active participants? I hope to explore these questions and find more events like the “Festival of Nations” as I continue my research. P.S. I am currently working my way through The American Girl magazine [the Girl Scout publication, 1920–1979] and have evidence of international correspondence between Girl Scouts in the U.S. and Girl Guides and Girl Scouts abroad. Maybe you know of such letters collecting dust in an attic or basement? If you have any leads, I’d love to hear from you! You can contact me at kscartwright@email.wm.edu. 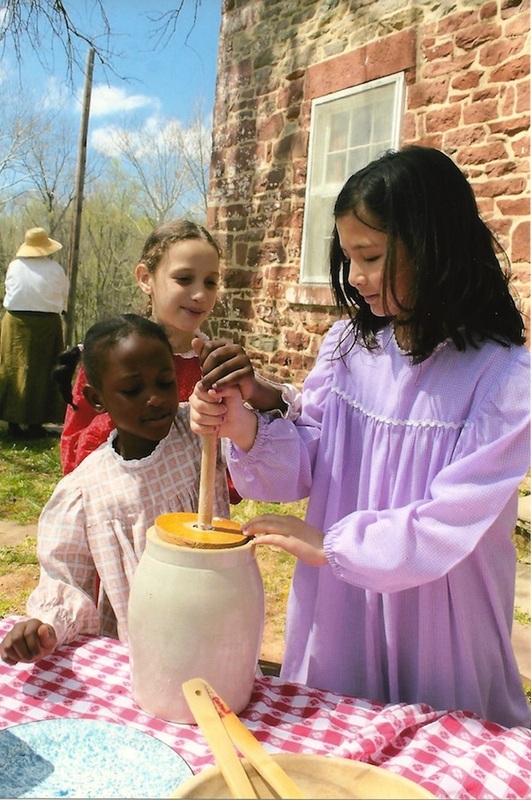 Nestled inside a quiet bend of the Chesapeake and Ohio canal near Seneca, Maryland, Riley’s Lockhouse offers Girl Scouts a unique opportunity to learn about daily life in the 1870s and museum careers. 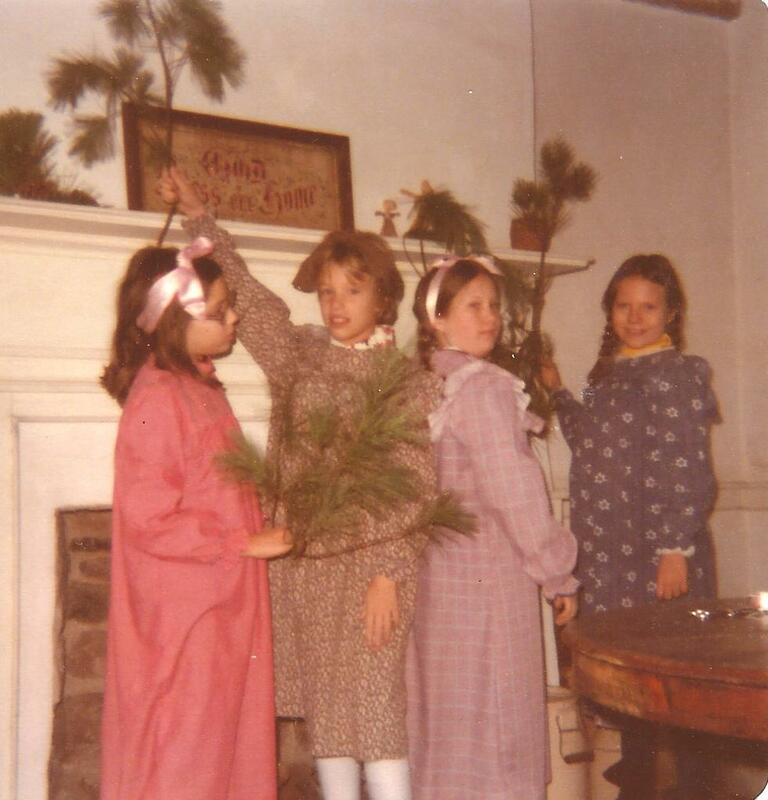 On weekends in the fall and spring, Girl Scouts dress in authentic period clothing and share the history of the Riley home to visitors of all ages. 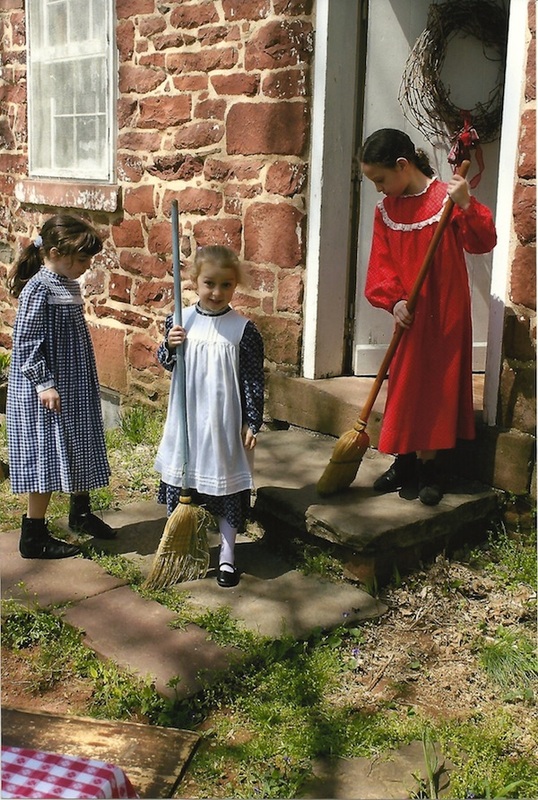 They serve as docents, demonstrating daily chores from the 1870s, including washing clothes, making butter, singing, playing games, sewing quilt squares, and making corn husk dolls. The C&O Canal was in use from 1831 to 1924, with 1871 its peak year. It ran from the Georgetown neighborhood of Washington, DC, to Cumberland, Maryland; 185 miles. Barges navigating the canal used a series of 74 locks to adjust to the changing depth; from sea level in Georgetown to 605 feet in Cumberland. Riley’s is located at lock 24. Today, the canal’s towpath is popular with cyclists, joggers, and history buffs. 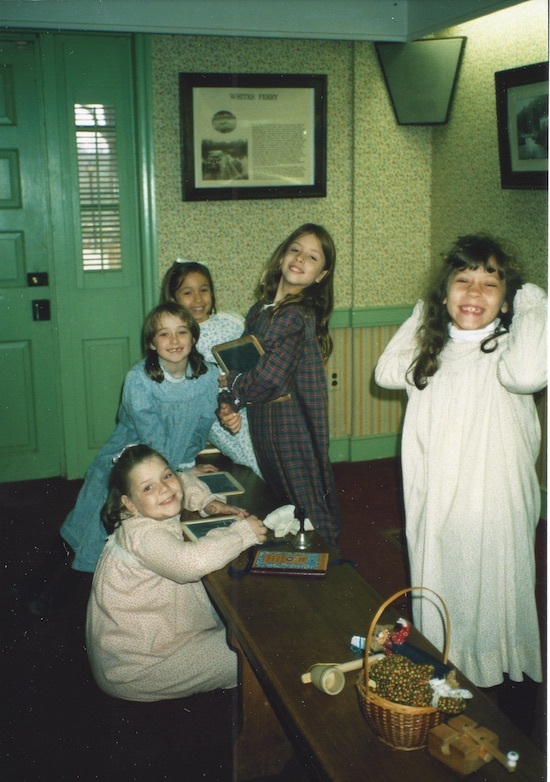 In October 1975, the Girl Scout Council of the Nation’s Capital launched the Riley’s Lockhouse History Program through a special permit from the C&O Canal National Historical Park. 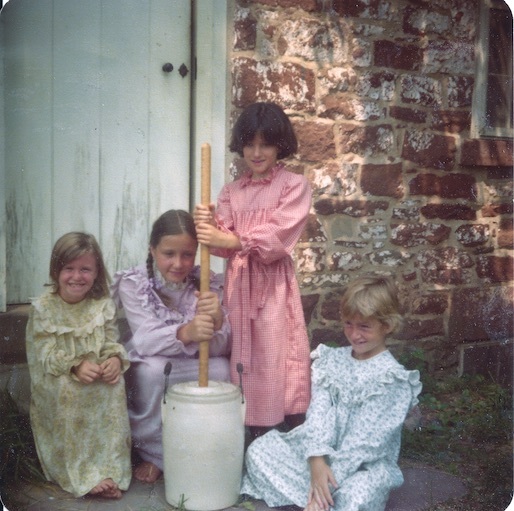 Searching for a special way to mark the US bicentennial, Cadette Troop 2032 of Bethesda, Maryland, devised a project to demonstrate how families lived in the 1870s. In 2007 the Riley’s Lockhouse Program received the national Take Pride in America award from the US Department of the Interior. The program also won the 2007 George B. Hartzog, Jr., award for outstanding volunteer youth group in the local National Capital Region. Over 40 years later, the program remains popular. 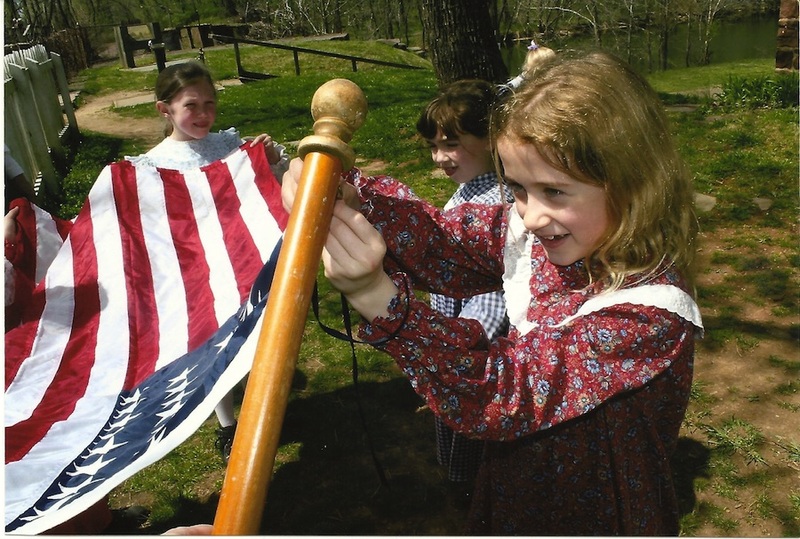 Girl Scout troops still change into period costumes and give tours on Saturdays and Sundays in the spring and fall. Leaders of troops interested in participating in the lockhouse experience need to take a half-day training course so that they can learn appropriate skills and teach them to their troop. Training classes are offered in both the fall and spring. The program is open to all Girl Scouts, not just troops registered with Nation’s Capital. 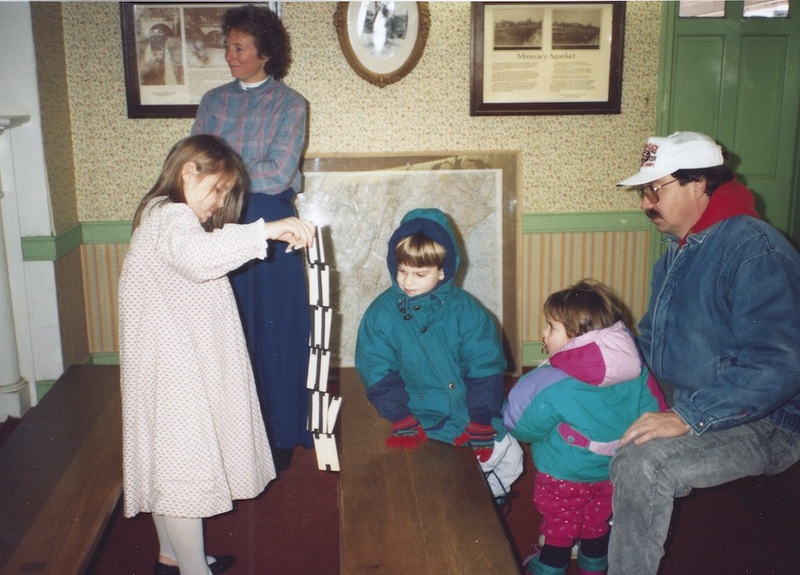 Many of the photos featured here were taken by Echo Reardanz, a volunteer from the Girl Scout Council of Central Maryland who frequently brings troops to the lockhouse. For more information about the program, contact programaa@gscnc.org. Copies were also sent to Vice President Hubert Humphrey, Judge Otto Kerner, every member of the Kerner Commission, every member of Congress, and every Girl Scout council president. Two months earlier, the National Advisory Commission on Civil Disorder released a landmark study on race relations in the United States. President Lyndon B. Johnson had convened the 11-man panel of experts following riots in Newark, NJ, Detroit, MI, and 23 other cities the previous year. The violent uprisings, concentrated in African-American neighborhoods, were responsible for the deaths of 69 people in Newark and Detroit. Our nation is moving toward two societies, one black, one white—separate and unequal. The Report called for massive investment in housing and jobs to improve living conditions for African Americans and an end to segregation in urban neighborhoods, among other recommendations. Your message of the action of the Board of Directors of the Girl Scouts of the United States should be hailed by all throughout the United States. I am a great believer in using existing organizations to work on the greatest social problem the country has ever faced. I am sure that through the Girl Scouts you can reach into the economically deprived areas and give new experience and opportunity there as well as to those people outside the depressed areas by becoming acquainted with the conditions. Please extend my congratulations to the officers and the Board of Directors. President Lyndon B. Johnson ignored the Kerner Report’s advice, mainly due to the cost, but the Girl Scouts paid attention. This discussion evolved into the Inter-Association Friendship Committee, a series of joint events between the Girl Scouts from the urban Mid-Eastern Washington and upper-middle class Southwest Montgomery County Associations spanning more than three decades. The Friendship Committee brought together troops for camping, swapping program ideas, service projects, and fun. One of the Committee’s most popular annual traditions was polishing the brass on the carousel at Glen Echo Park, once a whites-only establishment. A half century later, the United States remains a sharply polarized society. The Girl Scout’s persistent determination to be inclusive is still a model worthy of consideration. For more about the 50th Anniversary of the Kerner Report, follow the link to an interview with the last surviving panel member. I was so excited by a new item that popped up on eBay earlier this month. 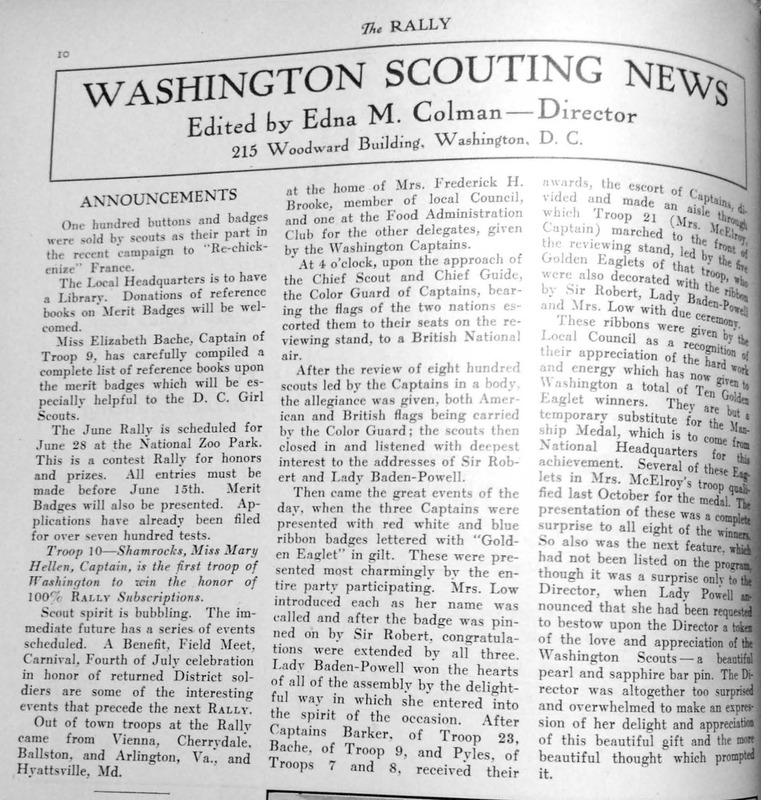 Designated as volume 1, number 1, The Girl Scouts’ Rally Bulletin is the public record of the first national convention, which was held in Washington in 1915. It was compiled by Edna Colman, the local commissioner. In 1915 local troops put on a demonstration for convention delegates, including this representation of Justice, Liberty, and Peace. This 32-page booklet includes highlights from troops across the country, including Washington. It also has a uniform price list (hats, $1.25; middy blouses, $1.75, etc. ), and the names and addresses of troop leaders from every state. 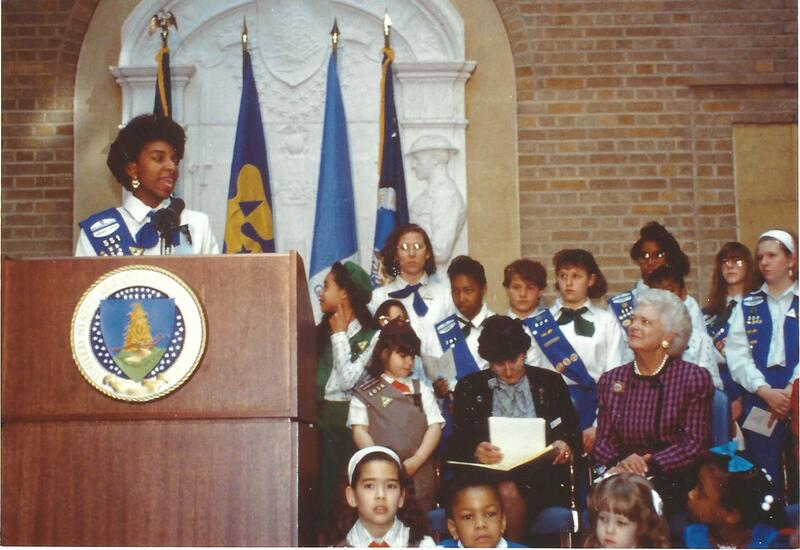 The Nation’s Capital council archival holdings are surprisingly thin on the early history of Girl Scouting in Washington, DC. While council consolidation has brought the records of many legacy councils into a central location, our historical records are scattered across multiple sites. It takes some ingenuity, detailed searching, and sometimes pure luck, to track down information about our earliest days. The main problem is that our early history is so closely entwined with that of the national movement. The first troops in and around the District of Columbia were managed out of the Munsey Building, where Juliette Gordon Low established the first national headquarters in 1913. Records from those years are more likely to be found at the JGL Birthplace or the First Headquarters in Savannah. After national headquarters moved to New York, the national Little House opened in Washington, and the local council rented one room of the house to use as its headquarters. 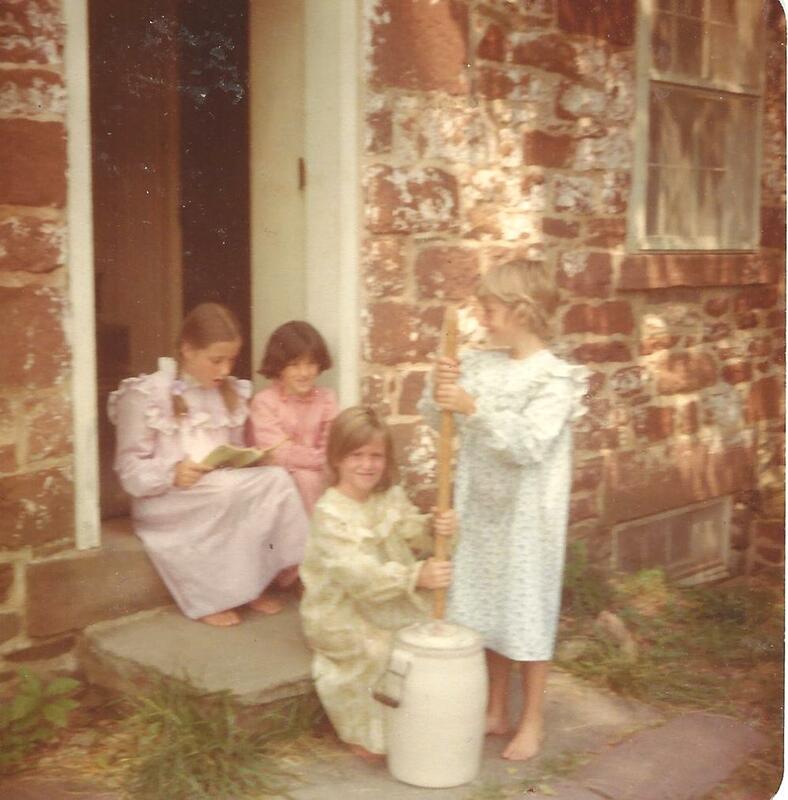 When the Little House closed in 1945, some of its files went to New York, but others went to Rockwood, a national Girl Scout camp just across the District of Columbia—Maryland border. When Rockwood closed, its files and fixtures went everywhere … but that is another story. Surprisingly, some of the best information I’ve found about our early years comes from the Herbert Hoover Presidential Library in Iowa. Lou Henry Hoover’s role in the first years of Girl Scouting cannot be understated, and archivists there have been very generous about scanning documents for me. 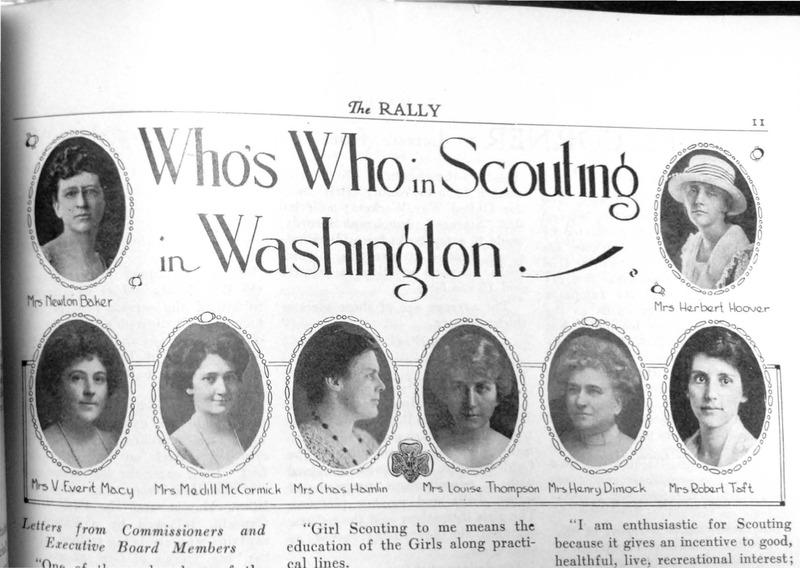 Another source, the first Girl Scout magazine, The Rally (1917-20), published a regular column about the Girl Scouts of Washington. But back to eBay. The asking price for this booklet? Nearly $600!! Pardon while I grab the smelling salts. This was a 30-day auction, now ended, and the price was slashed several times. The final price was $299.99. It did not sell. At first, I was furious. This was highway robbery! Holding our history hostage for a huge ransom! Unfair! Early enough, very rare and important enough to be a museum piece according to my research. I could not find another one like it. I could only find a PDF version at Girl Scouts University, Girl Scout History & Preservation. RESEARCH IT! The website is still up for Girl Scout University, another promising idea that GSUSA quietly abandoned and allowed to die of neglect. I downloaded a good-quality PDF that added several new pages to our history. The thing is, even if I had an extra $300 or $600 sitting around, there is no way I could justify the cost. I see my task as documenting history, not necessarily collecting examples of everything Girl Scout. While it is important to have artifacts that can be held and experienced, we wouldn’t pass around a century-old, original report anyway. We would scan it, lock it away carefully, and work with a copy. Which is exactly what we now have. And it didn’t cost us $300. A few days after I first saw this auction, I received a priceless donation of original documents from essentially the same time period.